Darfur is one of the most deprived regions in the world, isolated from civilisation, thousands of miles away from the regional capital of Sudan, Khartoum. There are no roads, no infrastructure. No railway goes to North Darfur. It is landlocked virtually in the centre of Africa. Everything has to be delivered by the one road that leads from Khartoum. It is essential to travel in convoy and even then lorries are frequently attacked. In the absence of roads people walk, or go on the back of a donkey, the only transport. There are few horses and only the relatively ‘wealthy’ own a camel. Without a donkey a family would find it difficult to survive. 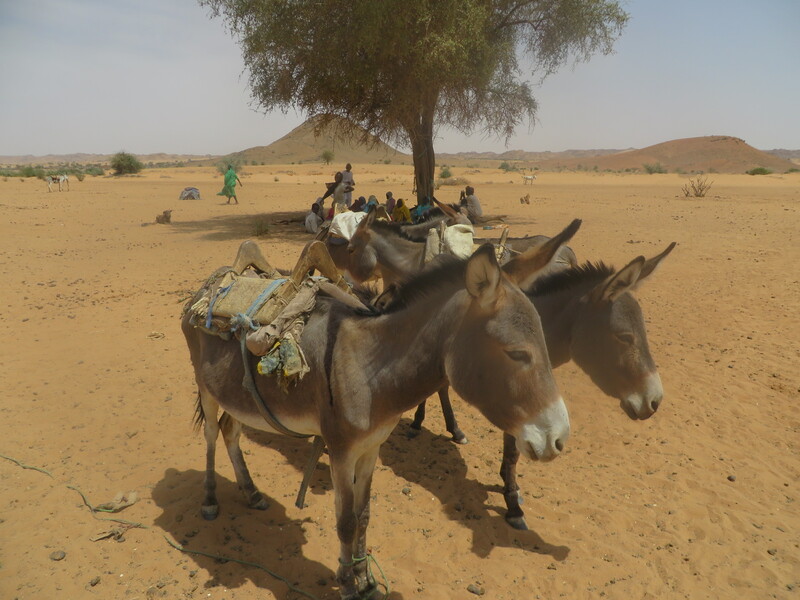 A donkey takes people to collect water, firewood, to go to market, to take people the many miles to hospital. They take children to school, they pull donkey ploughs, donkey carts, water carts. They carry the old, the weak and the disabled. They make life possible – just. Donkeys are the 4 x 4 of Darfur. They can be hired out to bring in an income, and, unlike the 4 x 4 in the west, their offspring are hugely valuable. A donkey now costs more than most families annual income. 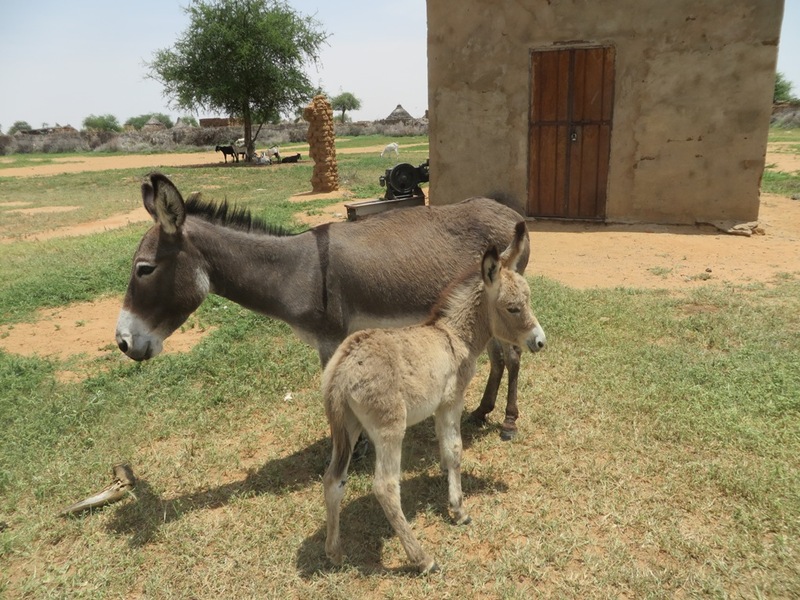 The first 38 donkeys we provided in the village of Um Ga’al far in the north made an unimaginable difference to some of the poorest families in Darfur. One has had seven offspring, daughters and granddaughters! At Jugu Jugu a Grandmother told us that she was now caring for her four grandchildren because her daughter was dead. Her only means of earning money is to sell firewood. This was taking her three days to collect because she had to go in a group to try to avoid being attacked. She then took a day to go 10 miles to a camp to sell it, and return. The load provides £1.50. But she did not own the donkey. So she had to share the £1.50 ($3) – leaving her 75p ($1.5) for food for herself and her four grandchildren, for four days. 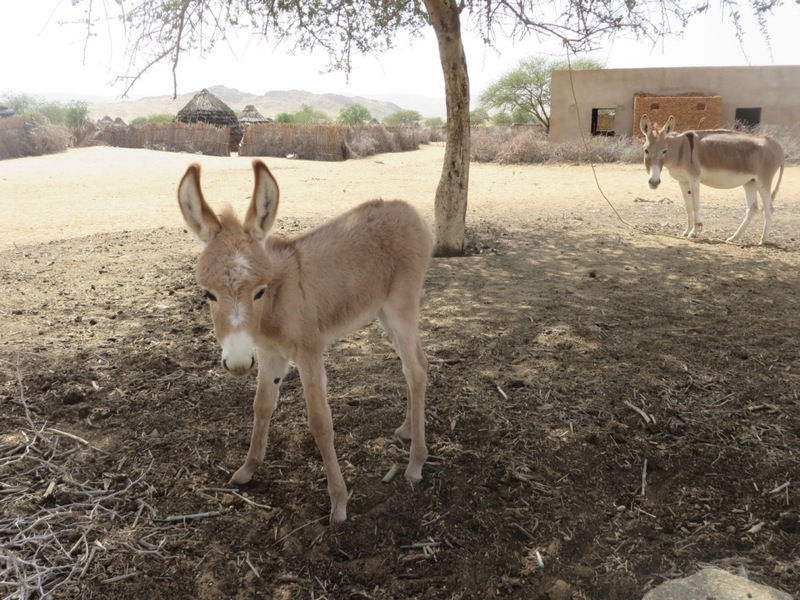 A donkey is the 4 x 4 of Darfur – there is no other transport – but unlike our big 4 x 4s donkeys in Darfur have foals. One little donkey now has SEVEN offspring – untold wealth for her family!